This year, what do you think the garden fashion will be…? I’m about to stick my neck out there, and say COLOUR, and lashings of it! Bright, unashamed, psychedelic, almost bordering on fluorescent… Get ready to put your sunglasses ON! My first insight into this year’s trend has been the tremendous success of Hydrangea “Glam Rock”. This hydrangea isn’t shy in the slightest! Punchy, PVC pink florets, collared in apple green, and sprinkled with glittery azure blue stamens. Gosh! 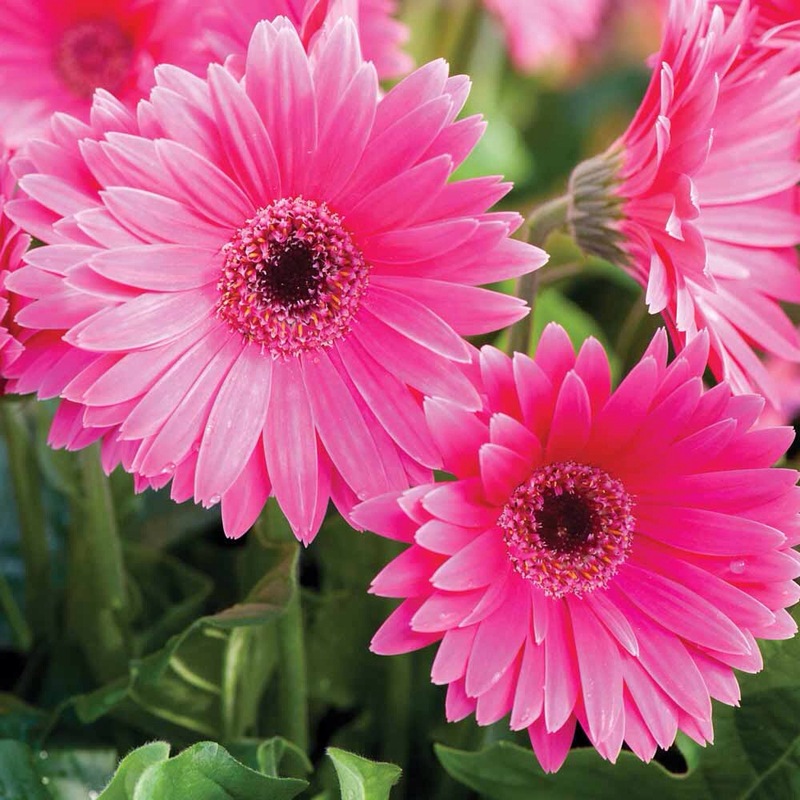 The new kid on the block is Gerbera, have you heard about them? Once a boring cut flower, which almost rivalled carnations for dullness, Gerber have now been reinvented as an outdoor patio plant! Robust, PERENNIAL plants, with giant, rainbow coloured discs. Pink, orange, yellow.. again, they’re brazen, and certainly won’t get missed on your patio! 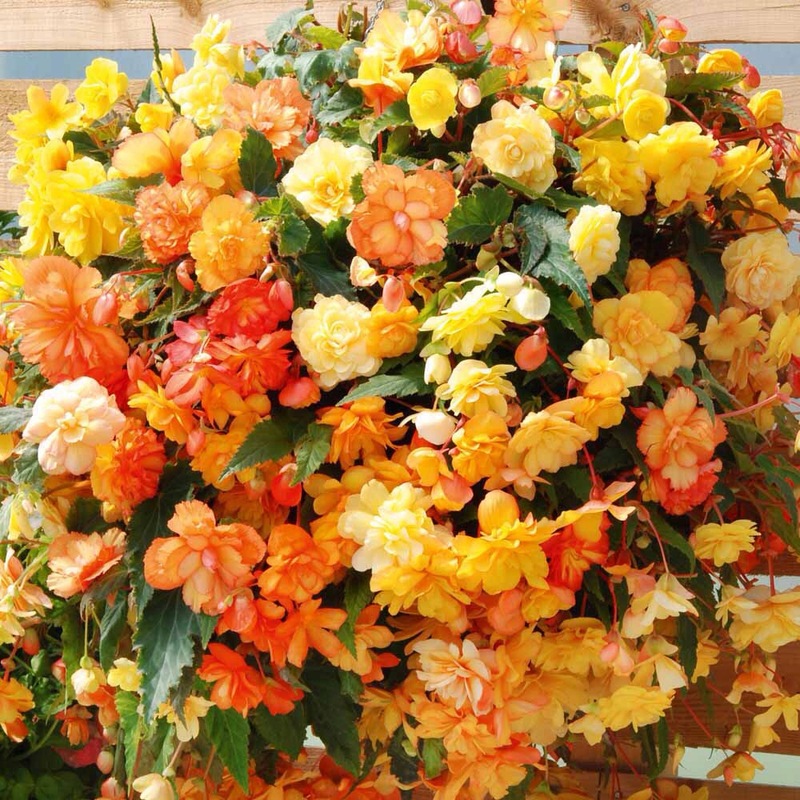 Colour is so welcome in shady corners too.. the UK’s favourite Begonia “Apricot Shades” is a beacon of golden colour, can you imagine that in a shady corner?? It’d be like turning on a light switch! So, why be shy? Decorate your garden with colour. Play with it. Don’t be dull with your containers either, use colour or stick with silvers or jet blacks, which will really show off the bright colours of your blooms! Just don’t use terracotta. Yuk! Next Post Is horticulture cool? Apricot begonia for my shady part of the garden duly noted..thanks!